Within the scope of the exhibition Crunch, Munch, Slurp at Zoom Children’s Museum the kids learn about food and its impact on health and the human body. In an interactive and playful way they explore food-related topics like hunger and health, the needs of nutrients our body, they find out what’s the link between food and movement, where food comes from, and what’s in our favorite foods, like spaghetti or French fries. They’ll put together a healthy lunch plate, steer the intestinal villi at our “body construction site”, can pedal, row, and step to see how many calories you burn, and they can have a look at fruit and vegetables through our “seasonal spectacles”. People in other countries have different food customs: what might a nomad child in Somalia, an Indian seamstress, a Scottish shepherd, or an astronaut eat? Being responsible for the exhibition design, we let our fantasy flow. Additionally to the exhibition architecture we designed some furniture objects and composed the exhibition song “Crunch, Munch, Slurp & Crunch”. 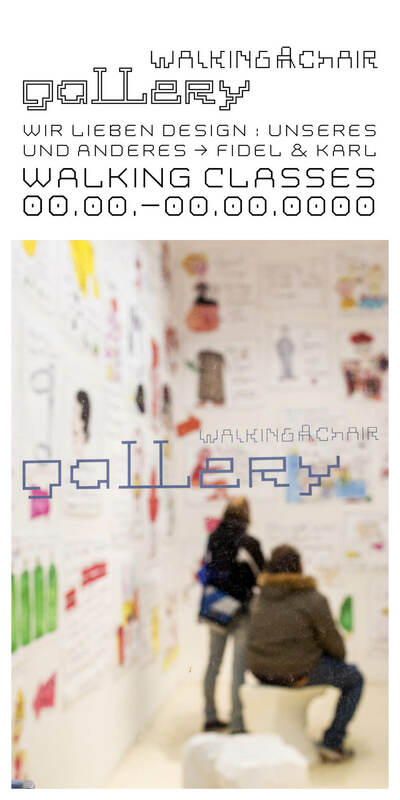 Rike Hofmann and Bernhard Winkler who designed the exhibition graphic, both presented their solo exhibitions at the Walking-Chair Gallery in 2007 and 2010.